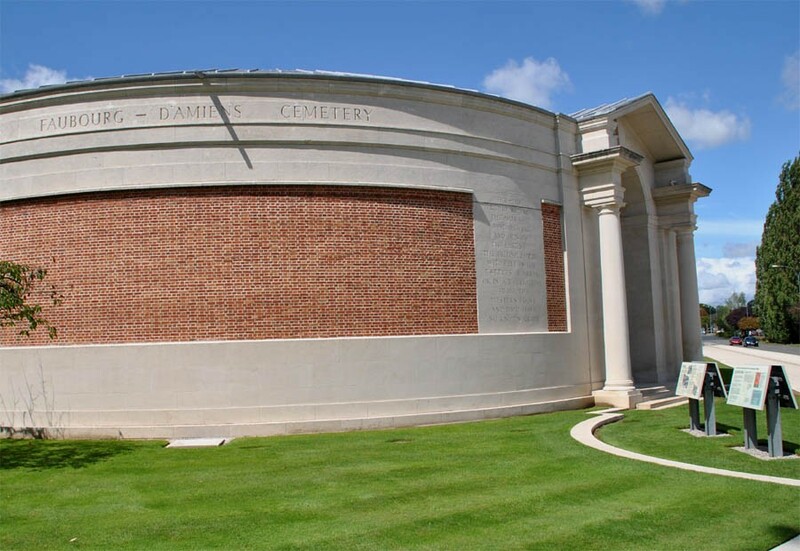 The Faubourg-d'Amiens Cemetery is one of the largest Commonwealth war cemeteries in the Arras area. 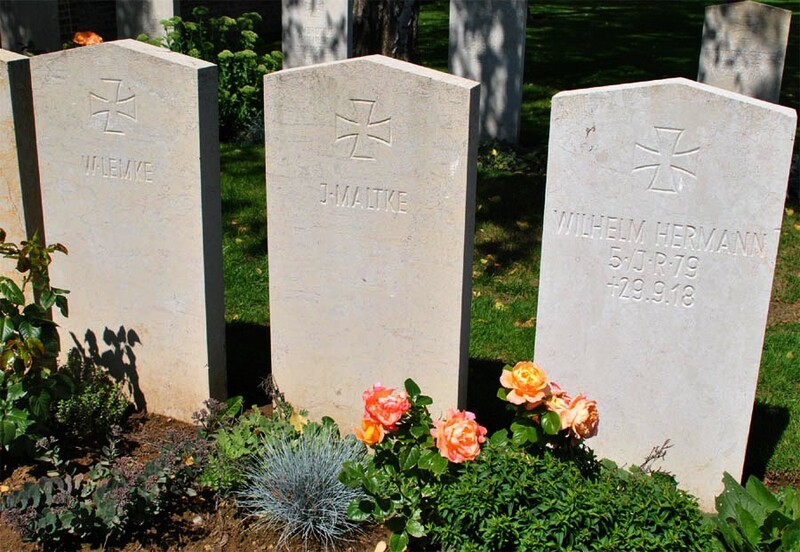 The cemetery mainly contains graves from World War I, but it also contains a few World War II graves. 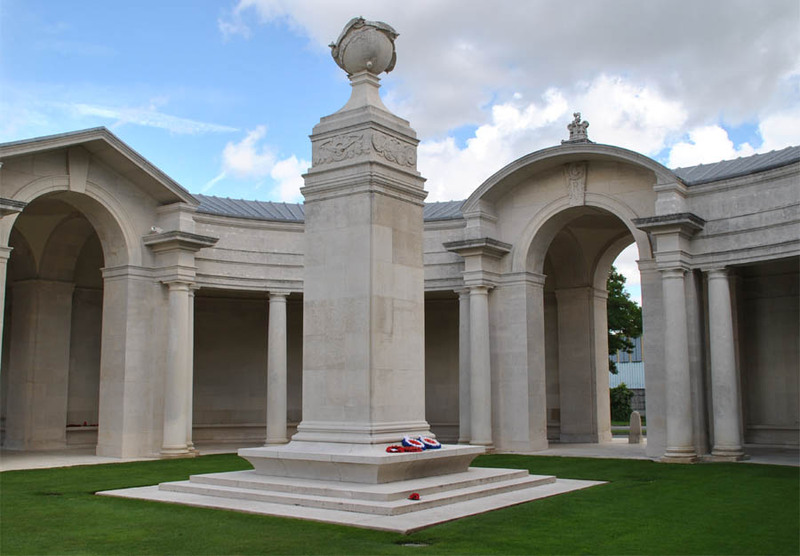 The Arras Memorial - which is a part of the cemetery - commemorates almost 35,000 servicemen from the United Kingdom, South Africa and New Zealand who died in the Arras sector between the spring of 1916 and 7 August 1918, the eve of the Advance to Victory, and have no known grave. The Arras Flying Services Memorial is also located at the cemetery. 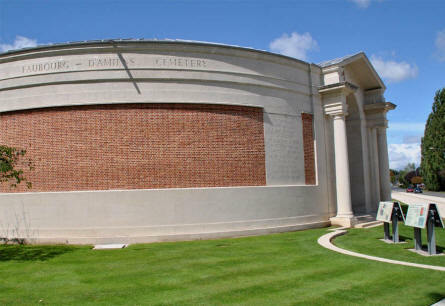 The Faubourg-d'Amiens Cemetery in Arras seen from the outside. 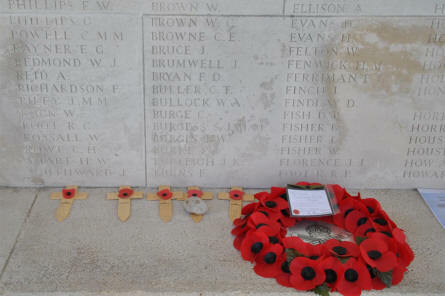 The building is a part of the Arras Memorial. A few of the the approx 35,000 names on the walls of the Arras Memorial at the Faubourg-d'Amiens Cemetery in Arras. 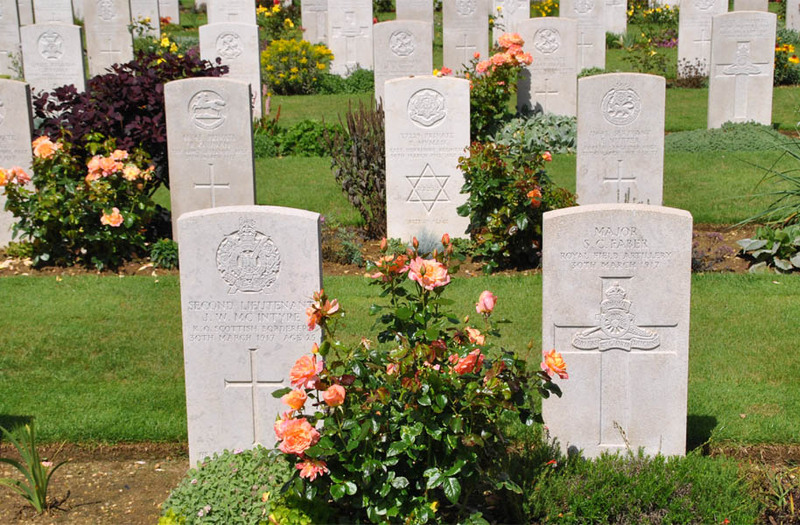 Some of the many World War I graves at the Faubourg-d'Amiens Cemetery in Arras. 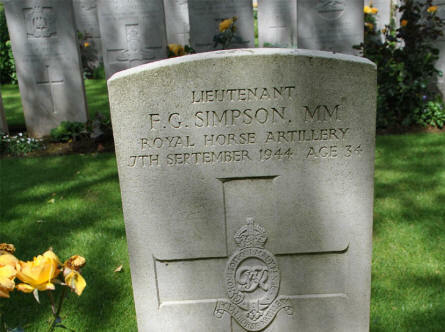 One of the few World War II graves at the Faubourg-d'Amiens Cemetery in Arras. The Arras Flying Services Memorial at the Faubourg-d'Amiens Cemetery in Arras. 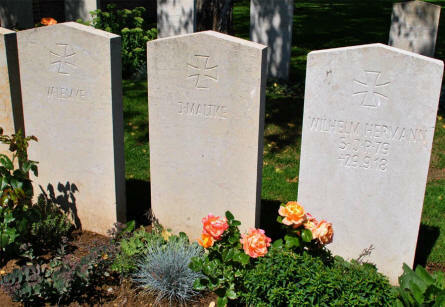 Some of the few German World War I graves at the Faubourg-d'Amiens Cemetery in Arras.